The philosophy of the special services staff is to collaborate as a team utilizing their experiences, resources, knowledge, and creativity in order to provide appropriate services and accommodations to students to stimulate, help, and guide them to develop emotionally, intellectually, and vocationally to the best of their ability, always remembering why we are here…All Students Can Learn! For information and special education records requests, please call (623) 478.4055 or fax to (623) 478.4199. 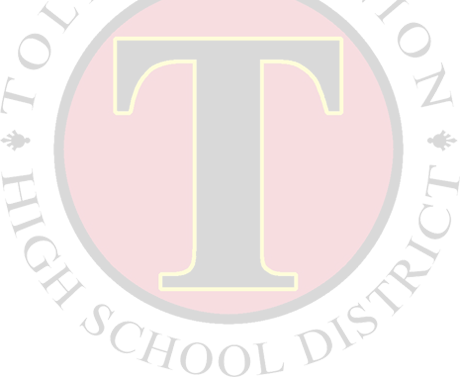 The Tolleson Union High School District is looking for students who may need special education services such as: specialized instruction, therapy services, or specialized equipment. If you are aware of a student who has any special needs in the areas of speech, emotional, motor, visual, hearing, or substantial learning deficits, please contact the student’s school or our office. AZ Dept. of Ed. - Exceptional Student Serv.